A day a Mustang Maniac is one of life’s pleasures, car talk, lots of cars and above all great company. Saturday the guys were sorting out the yard and moving stuff around again, the yard looks so much bigger now. The inevitable tea break allowed a relaxing few moments in the sun to listen what the plan was going to be for the day. The task was to finish up the electrics Once the neutral safety switch had been fitted. The fitting was two bolts slid over transmission selector lever. The twin pairs of wires were to be connected to the loom to stop the car turning over in anything other than Park or Neutral or the gear box. As the wire colours and fittings don’t match to the loom it was a case of using a Power Probe to manually switch on the back up lamps, and then make sure the car wouldn’t start in any gear. The initial educated guesstimate was correct and allowed the wires to be spliced in with proper tight fitting connections. The wire loom could now be sealed up to make it look stock. Adam was around to help out with Neutral Safety and as the battery was connected up a decision was made to check the headlights. Nothing, the neat cable work under the dash was pulled open and the relays were checked, nothing. The relays were removed and more Power Probe work was used to search out the live feeds. When manually triggered the headlights worked, that was a good sign at least. Adam asked if the fuses were OK, and of course took the statement “Yep, they are fine” as it was intended as a statement. Adam had a customer turn up to collect a large batch of body work and got “Lord” Yogi to come in and offer a look. Many shouts of “they on yet?” Resulted in a forlorn “Nope” response. This went on numerous times, and with lots bleeps later, still nothing. Then a consultation with the “book of words” reveled the problem. When the loom was fitted the “Live feed restricting connection and disabling function device”, ( I just made that bit up) or better know as a “Fuse”, was not in the fuse holder board. Yogi plugged in the correct rated fuse, the switch was turned and the lights came on, no problem. This explained the lack of a live feed. Needless to say “Lord” Yogi dished out some friendly abuse yours truly, all totally justified of course. When Adam asked what the problem was, no matter how much you try to disguise the fact that the “fuse” was missing by making up fancy words for it, a certain amount of banter often followed. Adam nailed the problem straight away earlier on, but choose to take the word of somebody who hadn’t checked their own work, it was a school boy error, OK. Everybody is allowed one now and again. Lol. The latest delivery of Adam’s also included the custom fitting Monte Carlo stainless steel bolts that matched the export brace. 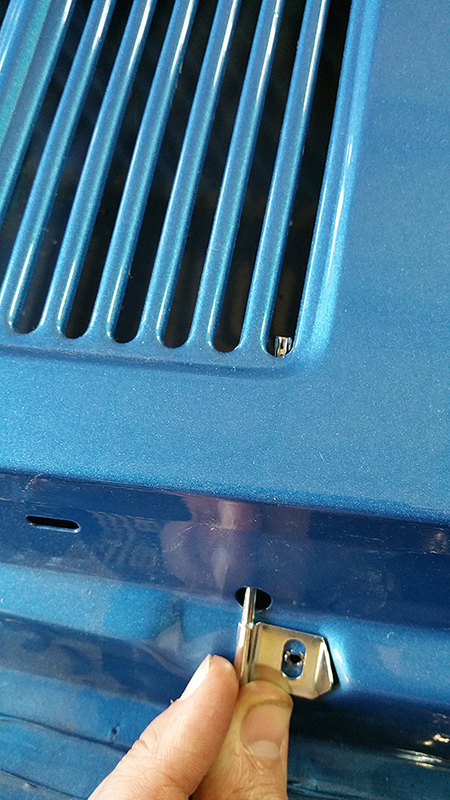 The correct positioned holes were fitted and the bolts tightened up. The effect is pretty darn cool. The next job was the wiper functionality and washer jets. The two-speed wiper motor was restored and looked pretty good. The down side was the two wires didn’t say what was the poss or the new side of the motor. So the plan is to put a pipe on the bottom of the pump and rest it in a jug of water and manually Power Probe it into operation. Yep, it made the correct noise, but made a complete meal out of and did nothing. The connections were swapped around and still nothing. Adam filed in his new storage area – the scrap bin. A sparkly new pump was sourced from the ever-expanding stores and the experiment was repeated. This time a gush of water duly sprouted forth as it should do. Two more holes had to be drilled into the inner fender panel to make it fit correctly. The water bag was hung on the hooks and the rubber tubing fitted. The pipe work was run around the loom location and run to the cowl. Washer jets were proudly displayed to Adam who looked at them and filed them under his new system “B” for Bin. Although they had cleaned up Ok the ends were flattened and wouldn’t have made a correct jet. So new ones were fitted. Two simple screws held the brutally simple pipe just under the cowl bars. To finish up the day the loom was recovered with tape and neatened back up. Figuring all the issues out took up a fair bit of time. To complete the day the windows were cleaned up and the car has taken on a whole new look. Again not too much to look at this week as it was tidying up and correcting issues with the “Electrical restriction unit” or fuse. Adam came around at the end of the day and decided to authenticate the restoration. 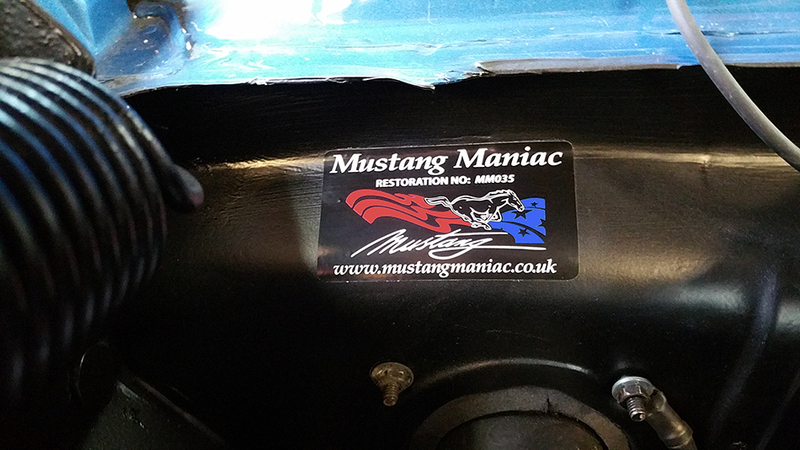 He bought down one of the coveted Mustang Maniac labels. It simply has a number on it. Mine is 35, this is a badge of honour to say the work is worthy of the assigned number. A great way to end the day – well chuffed. This entry was posted in Car, Photo's and tagged fuse, Mustang, Mustang Maniac, One man and his Mustang, restoration, washer bottle, washer jets, wire loom, Yogi. Bookmark the permalink. Mart, just catching up with your blog as I have a weekend off work finally, I love the look of those washer jets! Great little piece about your wipers. Loved the “they on yet” bit, and of course I remain ever proud from across the pond! It was a tense time frame with the headlights not working, it had me worried that I had damaged the loom removing it and fitting it back in. When the issue of the fuse problem was located, I was so relieved that it was such a simple error on my behalf. The guys banter to give me stick was so funny and strangely enjoyable. Me being me has to give it back of course, but this time there was no excuse except to take it. Technically the car is now alive, the front lights, park lights, rear lights and brake lights work. The next major job is the steering column and wiring up the turn signals. Looking forward to this weekend now. If you fit a cowl cover, I presume the washer jets don’t work (or at least the water can’t get to the windscreen). I haven’t seen anything online that references this slight design flaw! Yes you are correct, a cover will prevent the jets from hitting the windscreen. 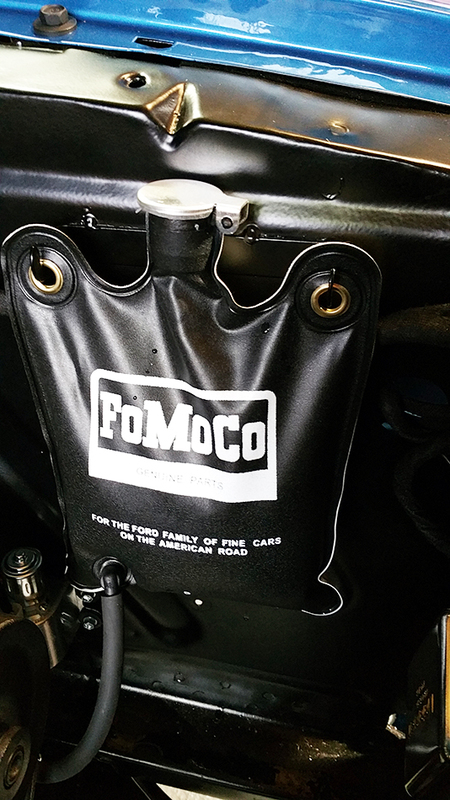 You will only fill up the lower cowl section with the discharged water. “You will only fill up the lower cowl section with the discharged water” – thereby causing the rust problem you were trying to prevent! Thanks Mart – coming along nicely. I liked the piece in Classic American too. I was down at MM on Saturday but didn’t see your car sadly. 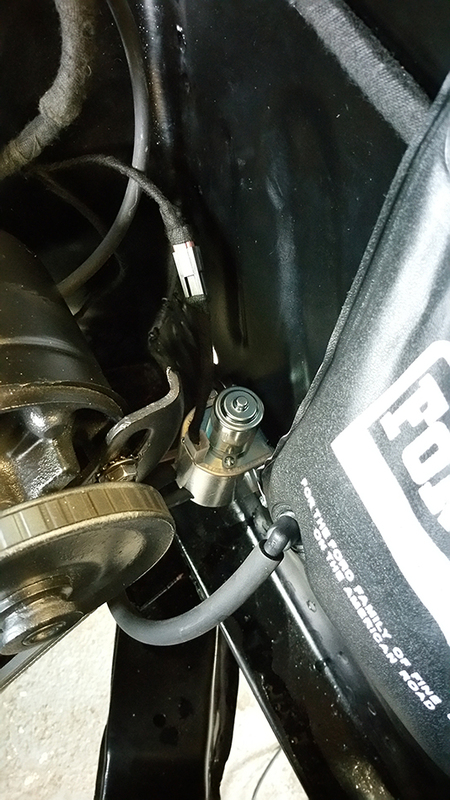 I had a similar problem with an FRU (Fuel Restriction Unit) – fuel tap to us – until I remembered I’d fitted one! ROFL. love it, FRU I must remember that one. It does make you feel that much better to know that you overlook the basic trying to find a bigger problem. I did get some stick over that, but it was so funny. I hope they will forget by next Saturday, I doubt it somehow. If the boot was on the other foot I know I wouldn’t. 🙂 That’s what friendly banter is all about.